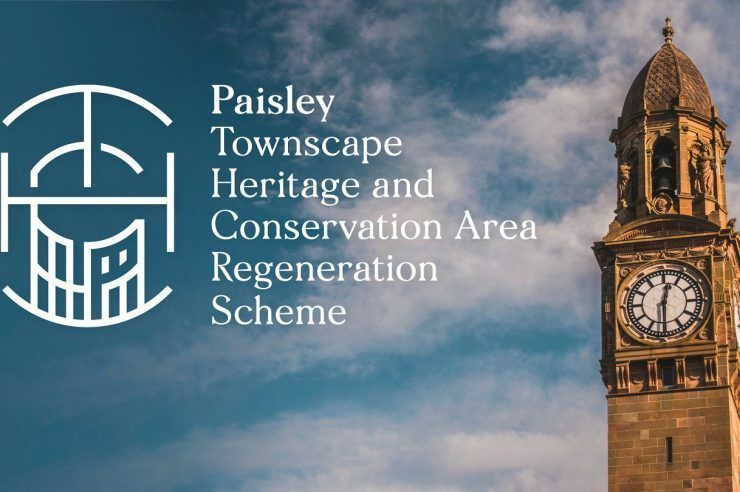 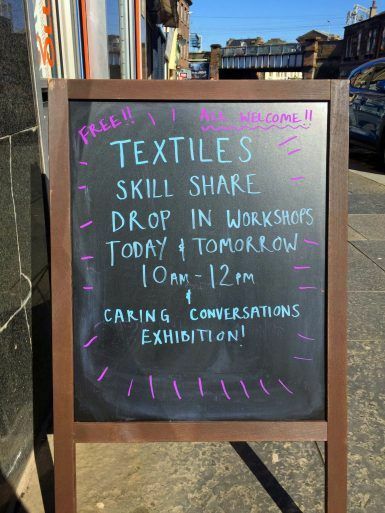 A part-time residency undertaking research into Paisley’s weaving history including workshops, demonstrations and participatory weaving projects. 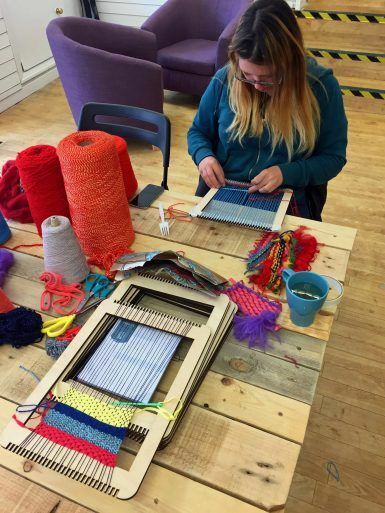 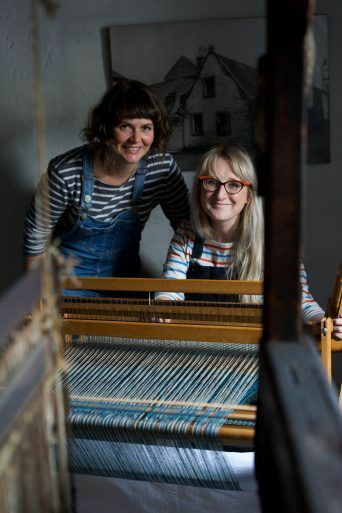 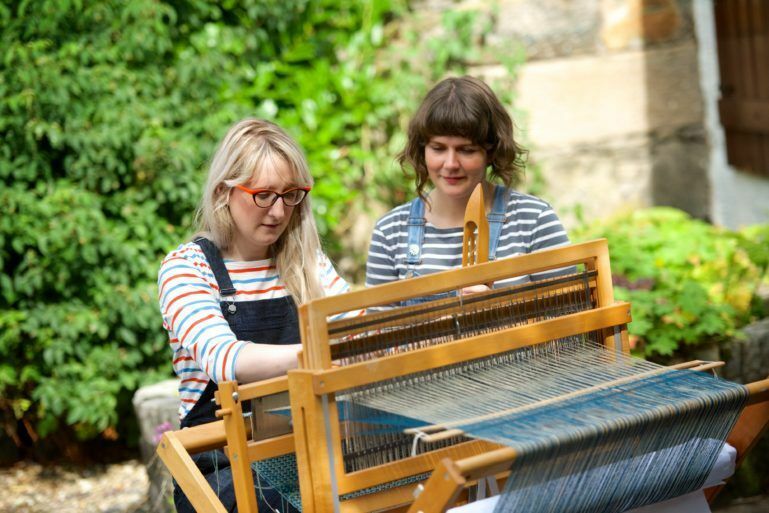 Sma’ Shot Cottages resident weavers Heather Shields & Shielagh Tacey demonstrated the process of weaving on a variety of looms and encouraged the public to have a shot! 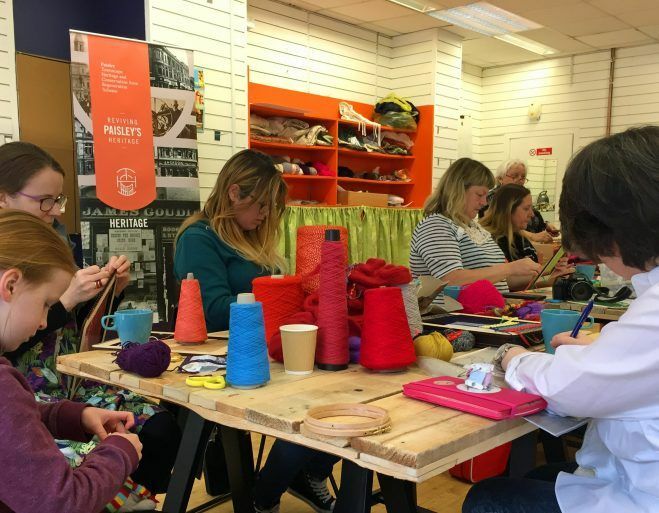 This workshop formed part of the University of the West of Scotland’s Inspiring Women Lecture Series at the UWS Paisley Campus. 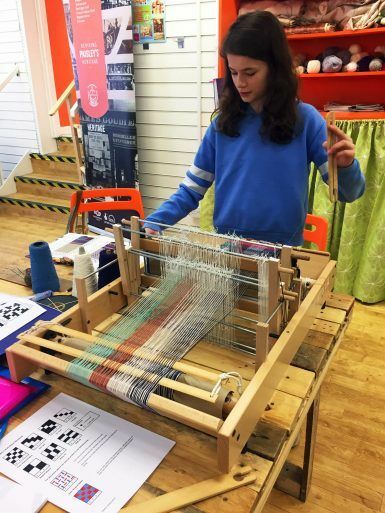 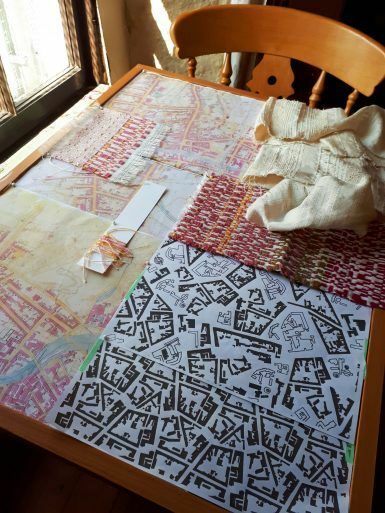 Resident weavers Heather Shields & Shielagh Tacey gave weaving demonstrations, and showcased their designs based on historic maps of Paisley’s textile buildings. 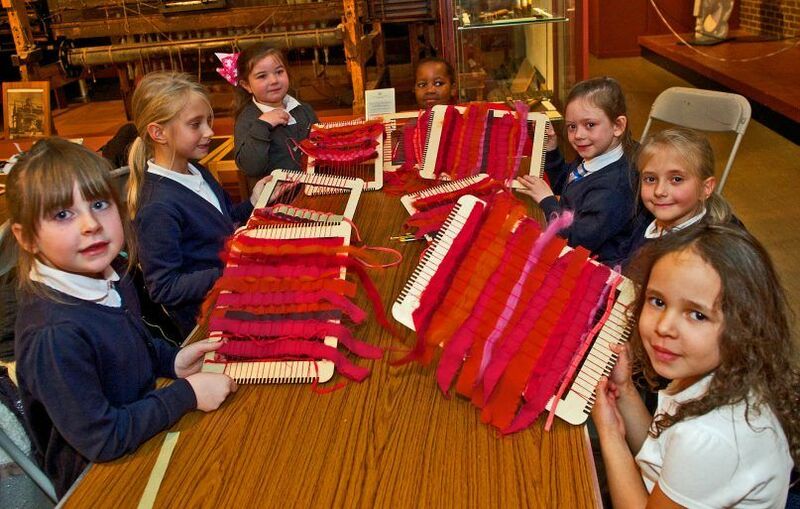 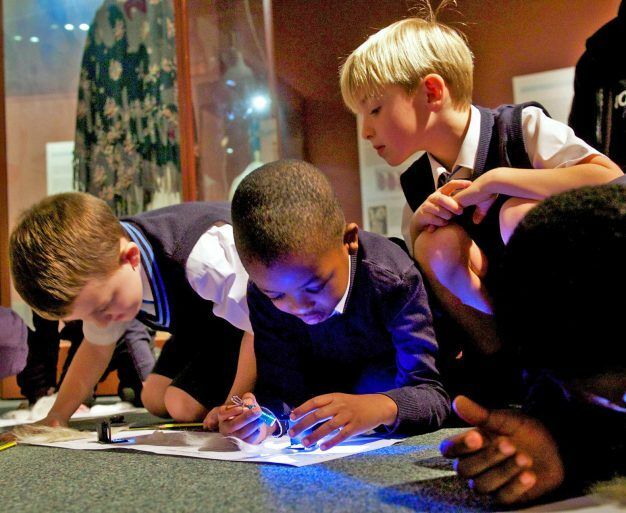 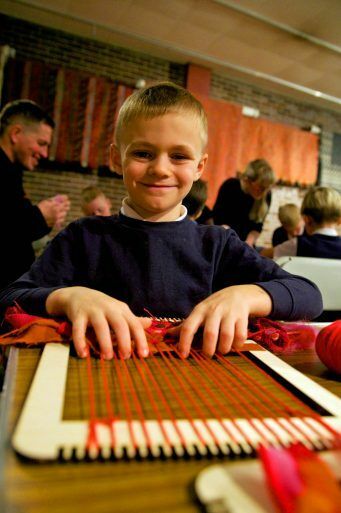 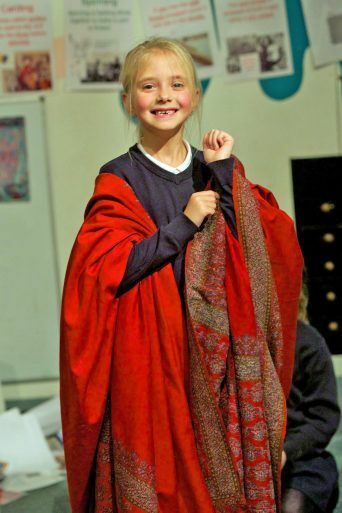 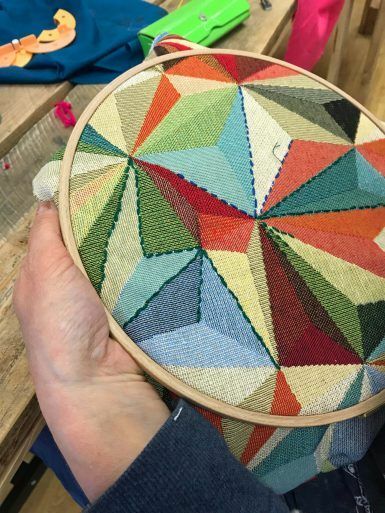 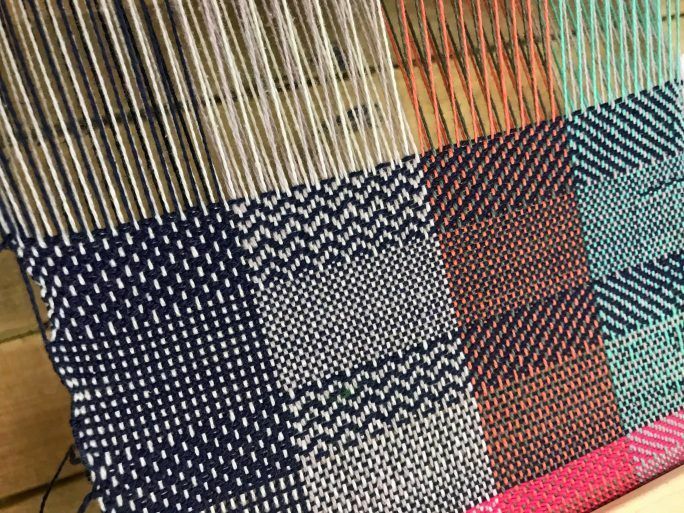 Schools Museums Workshops – Over the autumn of 2017 the Weavers In Residence delivered a series of weaving workshops to over 240 primary and secondary pupils. 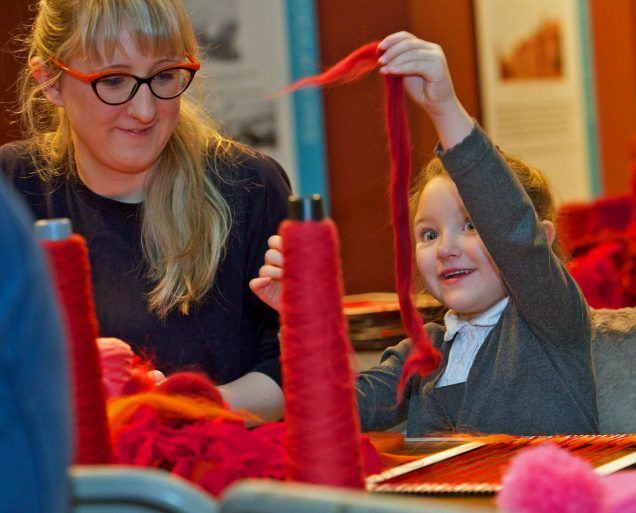 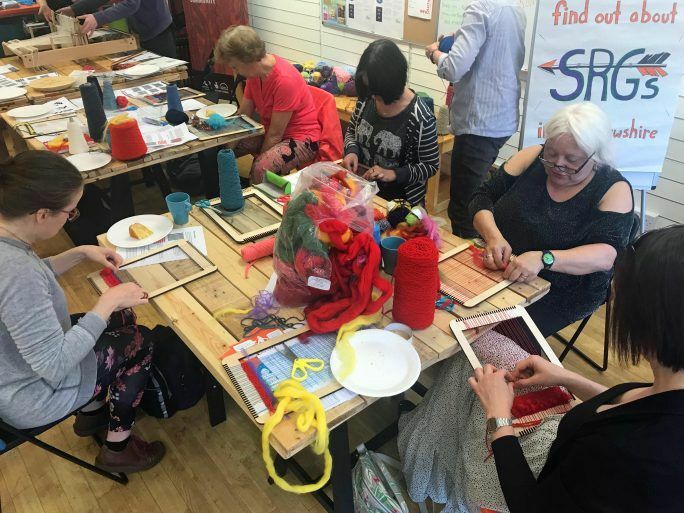 The hands on weaving workshops were hosted by Paisley Museum and included a tour of the Shawl Gallery and an exploration of the types of fibre used historically in the town. 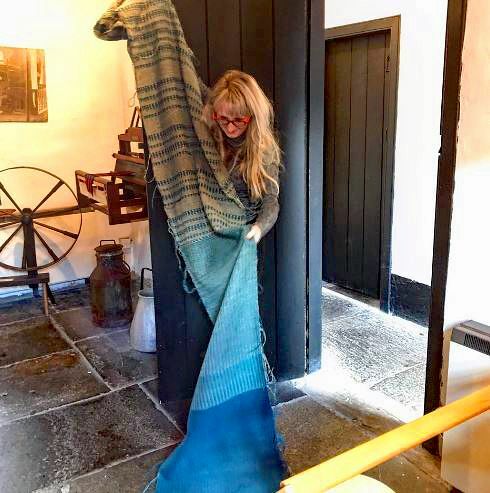 As with all the fabrics woven as part of this residency the aspiration is to use the samples woven in the workshops to enhance the visitor experience at the Sma’ Shot Cottages.